This season of fishing is shaping up to be one for the record books with unbelievable ice and cold. Our captains and crews are working hard to finish up Opies but with the bad weather extending the season it’s making it difficult to plan CatchCon this year. We are sorry to report that we will not be holding the traditional CatchCon in Seattle but we are working on plans later in the season for virtual fan festivals. 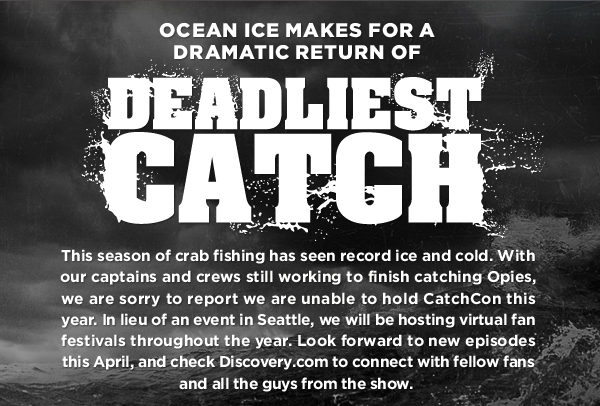 We will be planning new ways for more of you to connect and engage digitally with all the guys from DEADLIEST CATCH. They might even pop up in person in your backyard. 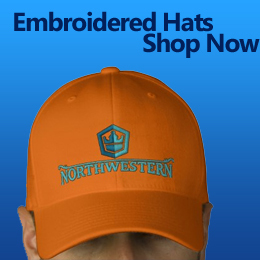 Look for more details soon and lots of surprises this season. Don’t forget DEADLIEST CATCH celebrates its 100th episode with its season premiere Tuesday, April 10 at 9pm e/p on Discovery.